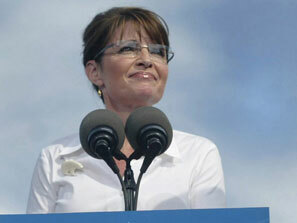 Is anyone paying attention to what vice presidential candidate Sarah Palin is saying? Why is an ethics violator recklessly lobbing character assasination darts into the air? If this is the strategy, are McCain campaign advisors frantically posting their resumes on Monster.com? Answers to these questions and more on Ramblings, forthcoming. The state Personnel Board investigation found that Gov. Palin did commit ethics violations by allowing her husband to use her office and position to put pressure on state employees in the effort to fire state trooper Walt Monegan. To date, two other ethics complaints are being investigated involving Palin. One, by activist Andree McLeod, alleges that state hiring practices were circumvented for a Palin supporter. The case is not related to Monegan’s firing. The other, by the Public Safety Employees Association, alleges that trooper Mike Wooten’s personnel file was illegally breached by state officials. After watching Palin’s carefully scripted (yet still clumsy) responses in the vice presidential debate, is there any question that anything she says is NOT meticulously composed? The Republican propaganda machine is far, far too controlling to allow someone of Palin’s popularity to fly solo. So what could possibly be the motivation behind sending this inexperienced, slightly stupid, albeit affable, less-than-squemish curd out to do the dirty work? Let’s consider the two possible outcomes. If the Republicans win, party loyalists can laud the feisty, fresh exhuberence of a political outsider who helped champion the cause and initiate true change in a stodgy, suffocating, good-old-boy network. If the Democrats win, she’ll become a scapegoat for all the incoherent, asnine blunders made obviously by campaign organizing underlings with more venom than gray matter. If the Republicans win, she’ll dissappear. I expect a few controlled appearances, but for all intensive purposes, her political career will be over. If the Democrats win she’ll be disowned and fade back into the perpetual Alaskan dusk, never to be heard from again.